Intraoperative hypotension frequently occurs when patients are anaesthetised for surgery and is associated with adverse outcomes in the elderly. Despite this, there is no widely agreed definition on what blood pressure values are actually ‘low’ and there is uncertainty over when to treat it. 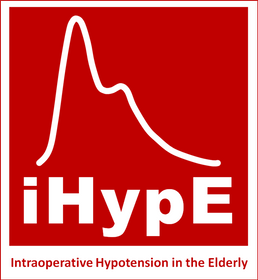 iHYPE is a 2 day observational study being run locally by SWARM on behalf of RAFT. All 15 trainee networks affiliated to RAFT will be taking part. The secondary objectives include recording adverse outcomes, identifying blood pressure thresholds triggering vasopressor use and surveying anaesthetist attitude towards intra-operative hypotension. Please visit www.i-hype.org for more information! This study has completed data collection and is undergoing analysis.